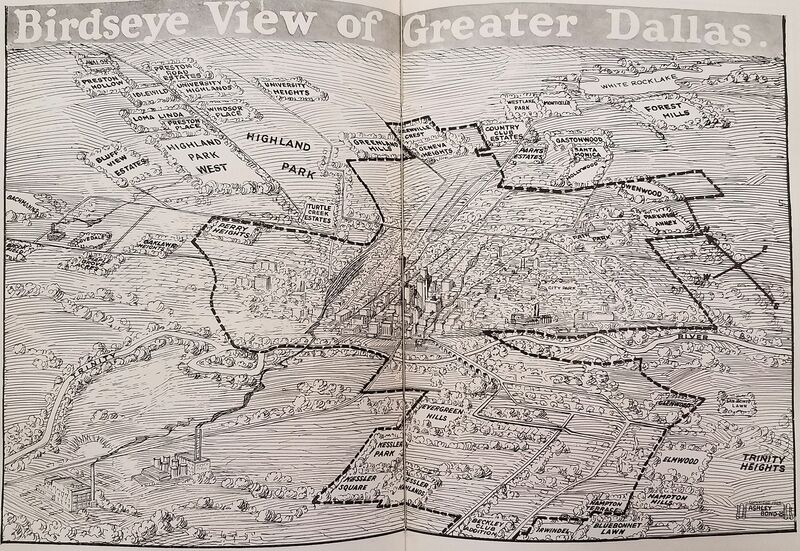 This great drawing from 1925 features several of Dallas’ then-new (and new-ish) neighborhoods. The “birdseye view” appeared in a Dallas Chamber of Commerce publication and was drawn (with a few large dollops of artistic license) by Dallas commercial artist Ashley R. Bond. I couldn’t find much about Mr. 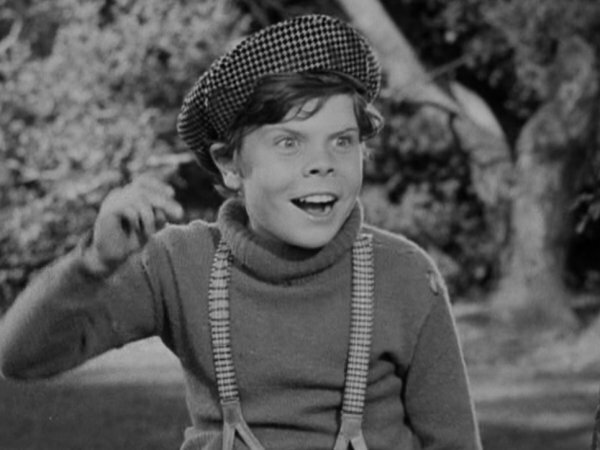 Bond except that he had a son who became a child actor in Hollywood — his son was Tommy Bond, who was best known as “Butch,” the bully in the Our Gang/Little Rascals comedies (which featured another Dallasite, Spanky McFarland). Little Tommy was walking down a Dallas street with his mother when a talent scout saw him, thought he had a great face for the silver screen, and told his mother that if she got the boy to Hollywood, he would guarantee a meeting with the famous Hal Roach. A short time later, 6-year-old Tommy Bond signed with the Hal Roach Studios. It’s a good day when an obscure Dallas Chamber of Commerce illustration leads directly to the Little Rascals. Map by Ashley Bond from the June, 1925 issue of the Dallas Chamber of Commerce magazine. More on Tommy “Butch” Bond can be found at Wikipedia here. I’m not sure about the dates in that entry. The Dallas Morning News reported on Dec. 3, 1932 that Tommy’s parents had received word the previous day that Hal Roach had offered the boy a 5-year contract and that the youngster had been in Hollywood for two-and-a-half months. In 1925 my neighborhood (at least the one I grew up in) didn’t exist. At that point in time, Farmers Branch was apparently the untouched wilderness. I assume anyway. I’d be curious to see if there’s any record of what was out that way around the 1920’s. You made my day, Tommy sold that song like Sophie Tucker. My grade school best friend’s mother claimed to have been in tap dance class with Spanky McFarland the day his mother came in with the “man from the studio” and took him away to Hollywood. Dallas must have been on the radar for talent early on. My mother used to talk about Butch Jenkins, as well. Made my day too! Dang those Little Rascals never fail to make me smile. So many great memories.